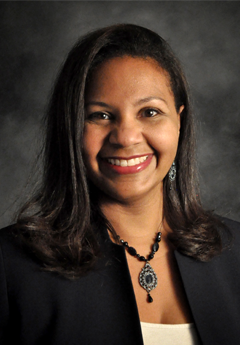 Before joining the UNM School of Law faculty, Gipson Rankin served as the Associate Dean for Curriculum and Program Development in University College and as a Senior Lecturer in Africana Studies, both at the University of New Mexico. In 2016, Gipson Rankin was named one of 10 Outstanding First-Year Advocates by the National Resource Center for her work related to first year college students. In 2018, she was honored as a Woman of Influence Award by the Albuquerque Business Journal. Improving Retention and Graduation Rates in a Hispanic-Serving Institution, REINVENTION COLLABORATIVE RC20/20 HIGHER EDUCATION CONFERENCE (2018). Black Kinship Circles in the 21st Century: Survey of Recent Child Welfare Reforms and How It Impacts Black Kinship Care Families, 12 J. CHILD & FAM. ADVOC. 1 (2013). Why They Won’t Take the Money: Black Grandparents and the Success of Informal Kinship Care, 10 ELDER LAW JOURNAL 153 (2002).